My name is Melissa. Perhaps you have read my last blog: Teach Bake Love where I chronicled my adventures as a middle school science teacher with a slight cupcake addiction. If so, hello again! If not, welcome newcomer! I'm an elementary school teacher! Yep, it's true. I landed a job in middle school fresh out of college with my elementary education degree (sixth is the top of my certification). The entire time, I felt like my "elementary education conscience" kept whispering sweet nothings in my ear like, "Melissa...don't you miss teaching spelling? How would you like to purchase some library pockets for your classroom library? Let's go sit on the carpet for a class meeting!" Needless to say, elementary teaching is in my blood, and I'm 99% sure that if you dissected my brain, you'd find an entire section devoted to smelly stickers, glittery labels, and binders. The rest of my brain is devoted to cupcakes, sushi, Cardinals baseball, and velociraptors. 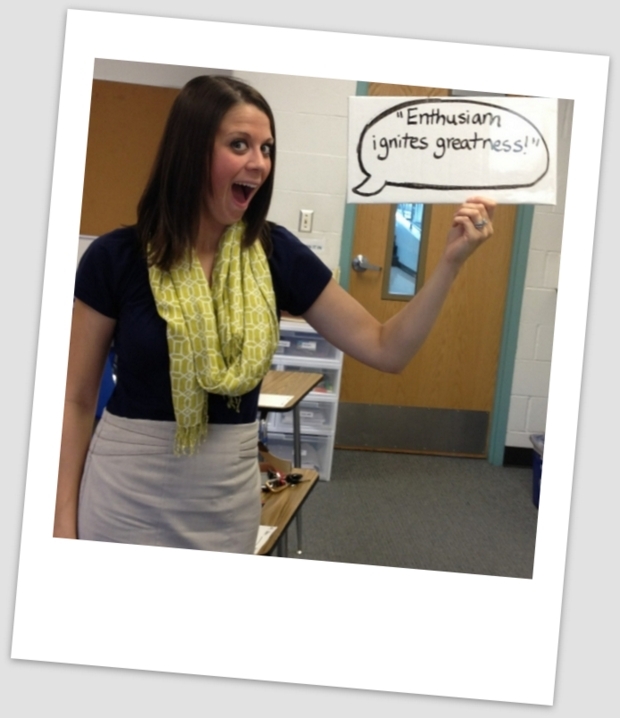 Last year, I took on an exciting new challenge: teaching fifth grade! It was incredible to finally be in the elementary classroom again, and I can't wait to get started this school year! This blog chronicles my life in the elementary world, as well as my life outside of school, where I spend time with my husband, dog, and family and friends. There might be an occasional baking recipe as well...but we'll see if I have time for that with all of the ideas I have for this year! I am a 2012 Emerson Excellence in Teaching Award Recipient and was the 2012 Educator of the Year for the school district I worked for. Click here to read my Educator of the Year Speech. Click here to read more about the Emerson Excellence in Teaching Award. Disclaimer: The thoughts and opinions on this blog are those of the author alone.